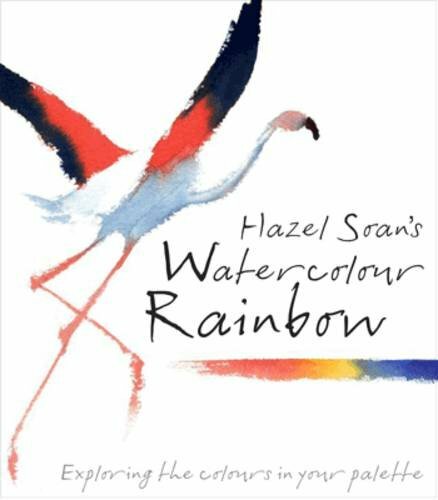 Hazel Soan's Watercolour Rainbow is essentially a book of colour theory using watercolours. The first part of the book covers tips on understanding colours and their characteristics, pigments, transparency and opacity and mixing colours. The other half looks at each of the main colours individually. As a book on colours, it does not feel as comprehensive as other books, such as the Watercolor Artist's Guide to Exceptional Color. For example, the it only mentions in passing the colour schemes, e.g. complementary, analogous, etc. The weak part of the book is probably much of the talking about techniques, the mixing and blending, do not come with demonstration of the technique itself. There are many wonderful watercolour artworks accompanying the text but you won't know how to create them. Hazel Soan provides you with the ingredients, the specific colours she uses, but leaves out the instructional bits. In general, this book is just a selection of colour tips. The examples are fantastic, but I wished I could have learned more. I did pick up some useful tips that made me realised that I've been mixing and using some of the colours wrong. So now I can make use of colours that I haven't been using much. But if you really want a book on colours, I recommending checking out Watercolor Artist's Guide to Exceptional Color and Making Colour Sing as well.